Last week we listed 10 not to miss activities in the first half of June 2016 @ Istanbul. In this post you can find 10 not to be missed Istanbul activities and events in the second half of June 2016. Hopefully, you will thank us after reading it. Trio Arte, three up-and-coming soloists from the Young Musicians on World Stages Project (Veriko Tchumburidze, Dorukhan Doruk, and Yunus Tuncalı), together with the acclaimed violist Gerard Causse will perform at 100 years old St. Antoine Church. 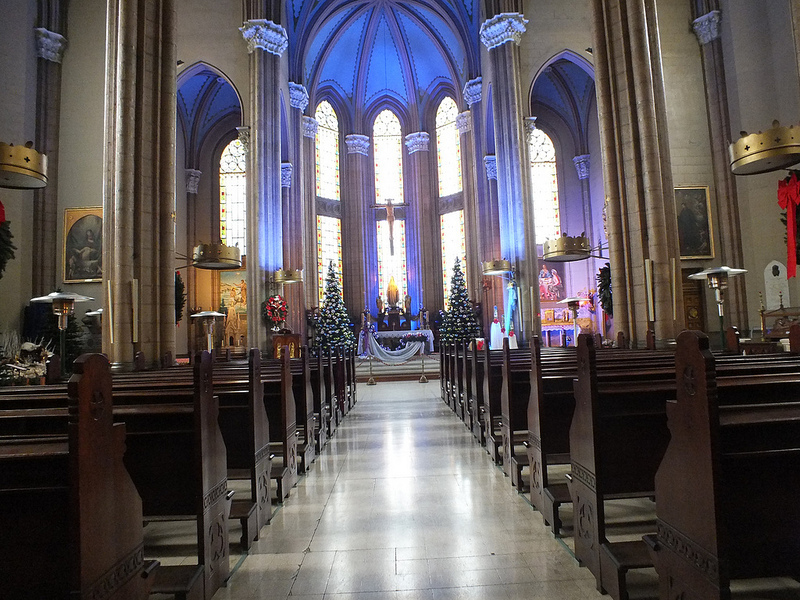 Originally called the Church of St. Anthony of Padua, St. Antoine Church is the largest Roman Catholic Church in Istanbul and it is located on bustling Istiklal Avenue. You should not miss this unique performance in such a distinctive venue. 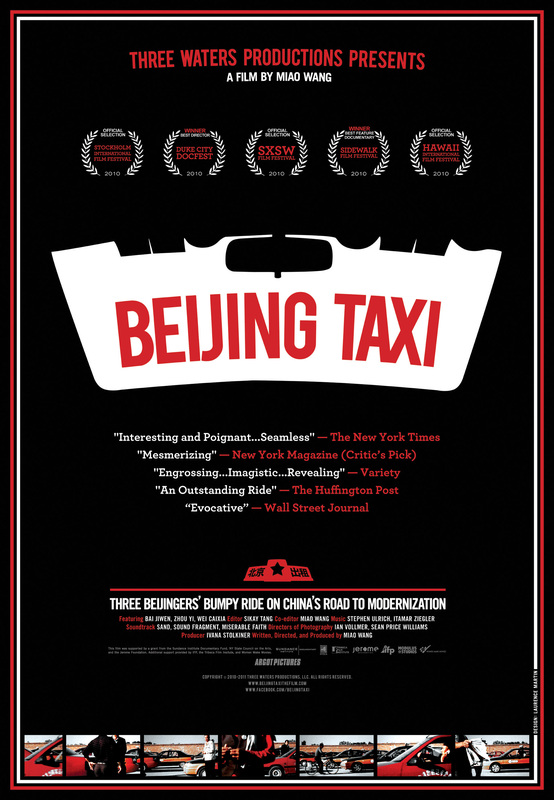 As part of “Thursday Cinema” series Salt Galata will screen Beijing Taxi (2010) on June 16th, 7pm. Beijing Taxi is a timely, uncensored, and richly cinematic portrait of Beijing as it undergoes an intense transformation after the 2008 Summer Olympic Games took place in the city. The documentary film focuses on the lives of three taxi drivers as they encounter modern issues and changing values brought by 2008 Summer Olympic Games. Thus, the 2008 Beijing Summer Olympic Games triggered a massive construction process that resulted in a number of internationally acclaimed projects. Program is free and open to the public, do not miss this unique documentary film in the auditorium of Salt Galata. 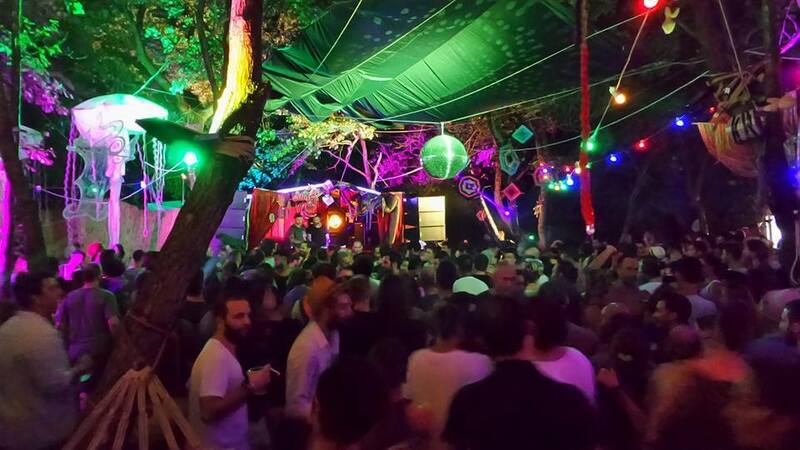 Byzantion Fest is one of the rare festivals in Istanbul that combines a do-it-yourself fair, all vegan food, and Turkish underground music bands. 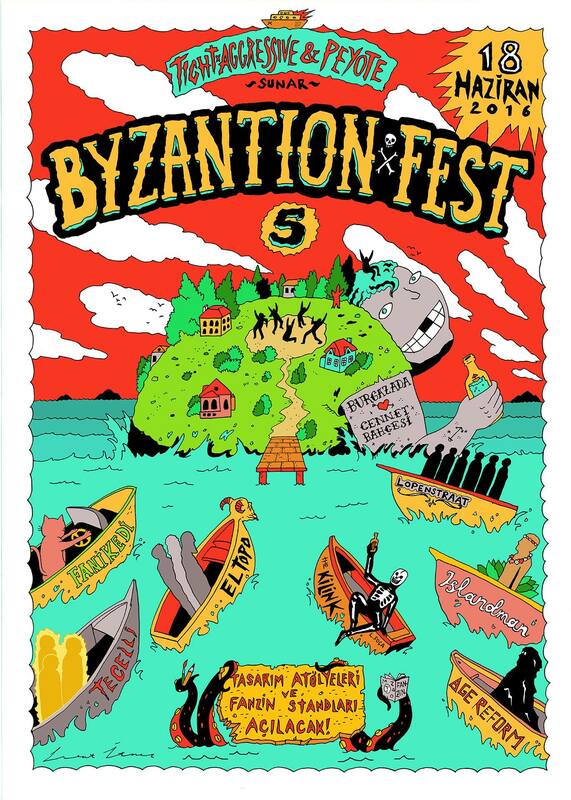 What is more interesting about Byzantion Fest that it takes place in one the Princes Islands, Burgazada. Byzantion Fest #5 will open its doors at 10:00am and during the day you will be able to shop, design, attend workshops, eat “only” vegan food, and listen to good music. Make sure not to miss this one of a kind festival and do not forget to check the boat schedule stopping at Burgazada. 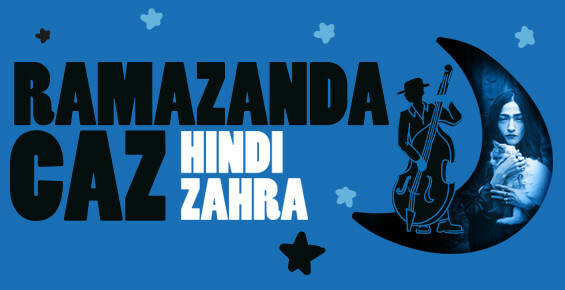 Hindi Zahra, who is a Franco-Moroccan jazz and soul musician, will perform at Zorlu Performing Arts Center on June 21st, 9pm. Zahra’s most songs are English, but the traces of Middle East and Maghreb melodies are obvious in her songs . Despite her young age, she has already been compared to well known jazz musicians such as Norah Jones, Diana Krall, and Patricia Barber. Make sure not to miss this unique performance that will be a fusion of jazz and ethnic tunes. 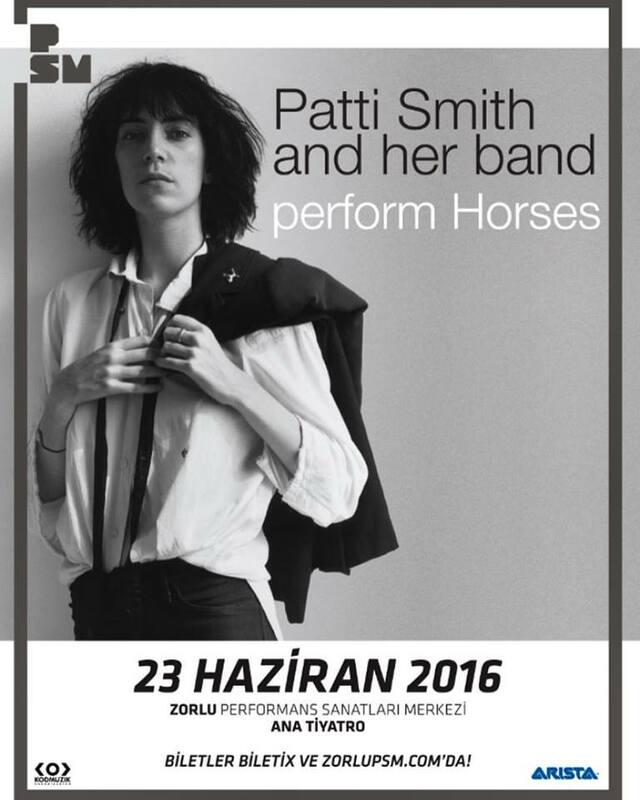 Living legend Patti Smith, godmother of punk, musician, poet, writer, and painter, will perform at Zorlu Performing Arts Center on June 23th. Without doubt she will give Istanbulites an unforgettable night. Smith has been inspired from names like Morrissey, Madonna, Michael Stipe, Madonna, Nirvana, and many others. It is difficult to limit her music with one genre and she is very successful at fusing rock music with poetry. Last year, Smith celebrated her 40th year in music industry. Do not miss this remarkable performance that will be unforgettable for you! Loco Dice (Yassine Ben Achour) is a well-known Tunisian-German DJ and electronic music producer. He is already considered to be one of the cornerstones of the electronic music due to his fusion of minimal melodies with hip-hop music. Do not miss this party at Suma Beach, the biggest open-air club of Istanbul, located on the Black Sea Coast and bejeweled with a natural yellow sandy beach backed by rolling green hills. In order to attend the 2016 Summer Olympic Games that will take place in Rio de Janeiro between August 6th and August 21st, Turkey Men’s National Basketball Team will play “FIBA Olympic Qualifying Tournaments 2016”. Prior to this crucial tournament “12 Giant Men” will play two important friendly matches with Philippines on June 21st and Greece on June 26th. You should not miss these exciting basketball matches combined with the unique atmosphere of Abdi İpekçi Arena. The 23rd Istanbul Jazz Festival will start with an exclusive performance of The Orchestra of Syrian Musicians, Damon Albarn, and surprise guests. 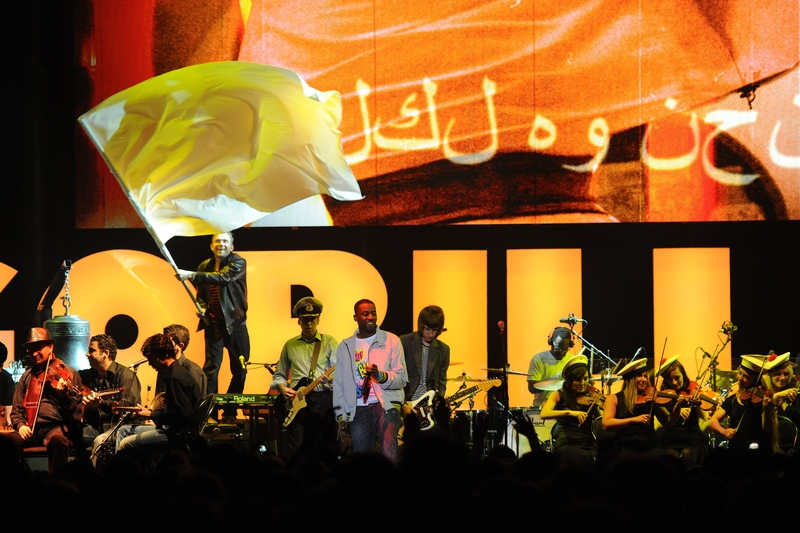 As a part of Africa Express project, Damon Albarn has carried out a unique and successful collaboration with The Orchestra of Syrian Musicians, formed of conductor Issam Rafea and many Syrian musicians who were forced to leave their country as a result of the on-going conflict in Syria. This special concert will highlight and celebrate the unique music culture of Syria, providing a more positive perspective than events currently seen in the news. Make sure not to miss this special concert on June 27th at Cemil Topuzlu Open-Air Theatre. Within Vitra Contemporary Architecture Series initiated by Vitra and the Turkish Association of Architects in Private Practice, “Don’t Be Late Home” is an exhibition on Turkish houses from the 19th century to today. While focusing on the political journey of housing from the 19th century to today, “Don’t Be Late Home” also addresses the understandings of space and usage habits. The exhibition uses various mediums such as photographs, drawings, videos, newspaper articles, excerpts from books, door bells, and so on. In other words, almost everything related with the history and evolution of Turkish houses is in this exhibition. It can be seen at Istanbul Modern Museum until June 26th, make sure not to miss it! “Migrating Spaces” is another exhibition focusing on Turkish houses. The exhibition goes around 132 houses built or renovated by Turkish migrants returning from Germany to Turkey, who are known as Almancı (Deutschlander). 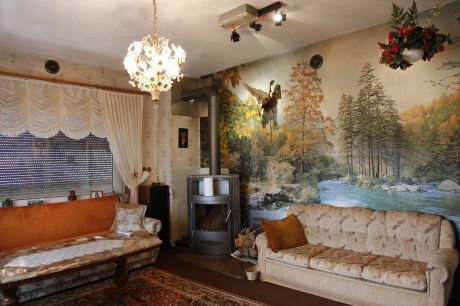 For this project Stefanie Bürkle and her team cataloged and documented 132 houses in three years. The results of the three-year research project, Migrating Spaces, are presented through videos, photographs, mappings, and mini reconstructions. The exhibition can be seen at Salt Galata until July 31st and you should not miss this stimulating exhibiton.